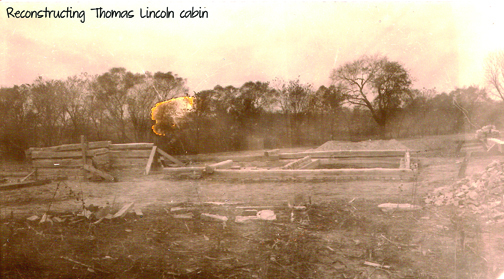 Dismantled in July 1891 for exhibition in the 1893 Chicago World’s Columbian Exposition, the original Thomas Lincoln cabin disappeared before it could be returned to the Goosenest Prairie. Eleanor Gridley, famed Lincoln historian and secretary to the Lincoln Log Cabin Association, claimed in a 1935 interview with Chicago illustrator and author, Raymond Warren, that Robert Lincoln exerted his influence with demands the cabin be removed from exhibition. Gridley also told Warren that the storage building later burned with the cabin inside. Prior to the reconstruction, the State and the National Park service relied on pictures taken before the deconstruction, the recollections of neighbors, and archaeology to reconstruct the cabin in the exact location and to the exact specifications of the original structure. Determined to build the cabin in the exact location, the park service conducted archaeology, collected signed affidavits from neighbors who were living before the cabin’s removal in 1891, and studied photographs taken just before its removal. A hewing operation was set up on site and the logs received a pressure treatment of zinc chloride for preservation, and to achieve an aged appearance. Hand-made brick composed the chimney built on the original’s stone foundation. Local farmers and community members donated trees and shrubs for the landscaping, and split rails for the fencing. The cabin was completed in 1936. On a visit to Coles County in the fall of 1935, Governor Henry Horner made a stop at the old Moore home, the place where Abraham Lincoln last visited his stepmother in 1861. Horner wrote to Robert Kingery, Illinois’ director of Public Works and Buildings, advising him to purchase the property for the state. He added, “it is a pretty sorry sight although suggestive of interesting historic memories.” Purchased from Orlando and Mary Annis in 1935, the house was determined too dilapidated to be restored. A team from the National Park Service and the state decided to dismantle the structure and reconstruct it with as much of the original material as possible. 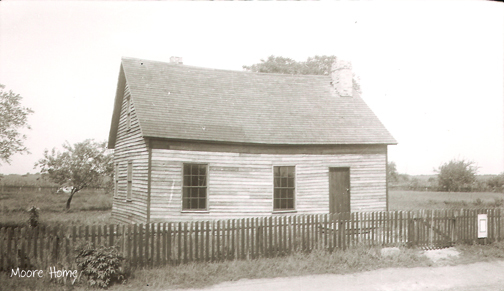 National Park Service planners decided to reconstruct the house “with the appearance of age and even with a large degree of decrepitude with the permanence of new construction.” Research on the Moore Home, the site of Abraham’s last visit with his stepmother, relied on the existing structure purchased from Orlando Annis by the state. 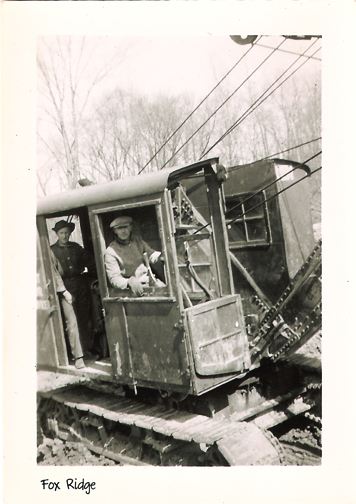 State planners took photos, made drawings, and interviewed local ‘old-timers’, before the structure was dismantled and reconstructed. In 1935 the Charleston Chamber of Commerce purchased and donated to the state a 400-acre tract of timberland along the Embarras River for the purpose of developing a park. 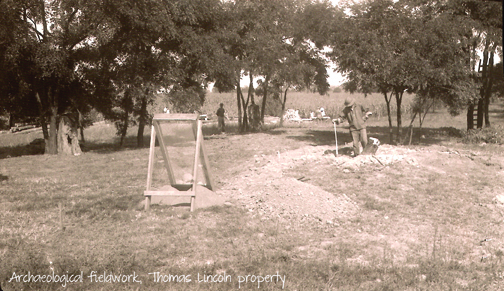 With the work of the Civilian Conservation Corps and the National Park Service to make the park a reality, the community was motivated to donate addition acreage and by 1937 the park had grown to over 540 acres. The growth in the number of state parks being developed by the CCC across the nation meant substantial growth and problems for the National Park Service. In an effort to assist with designing park structures, the CCC funded a textbook produced by the NPS in 1935 titled, Park Structures and Facilities. Its editor, Albert Good, defined ‘rustic’ architecture: “successfully handled, rustic is a style which, through the use of native materials in proper scale, and through the avoidance of rigid, straight lines, and over-sophistication, gives the feeling of having been executed by pioneer craftsmen with limited hand tools. It thus achieves sympathy with natural surroundings, and with the past.” The structures built at Fox Ridge reflect this design philosophy of achieving harmony between the built landscape and natural environment.